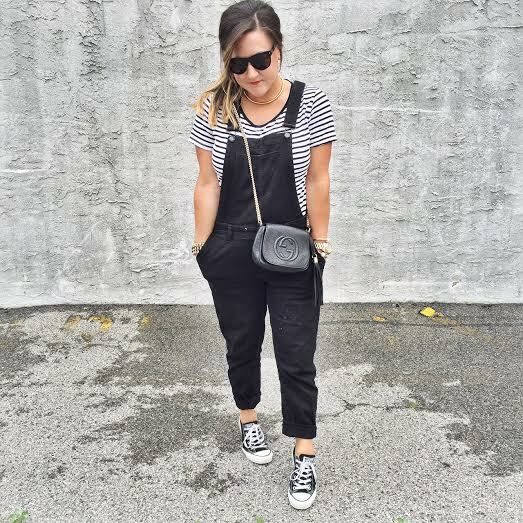 So I actually picked these black overalls up from H&M months ago, and I just never got a chance to shoot them for a post…yesterday, I wore this outfit to a friend’s house party, and even though this is the first official weekend of summer (! 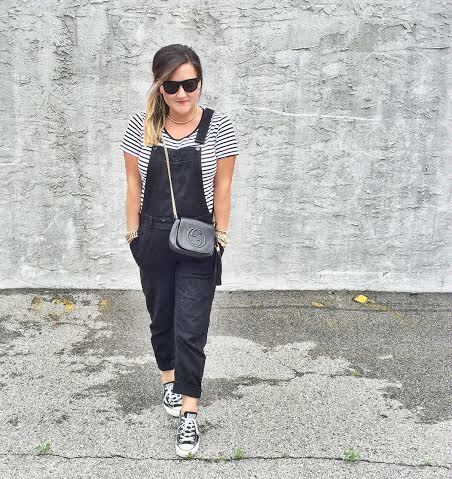 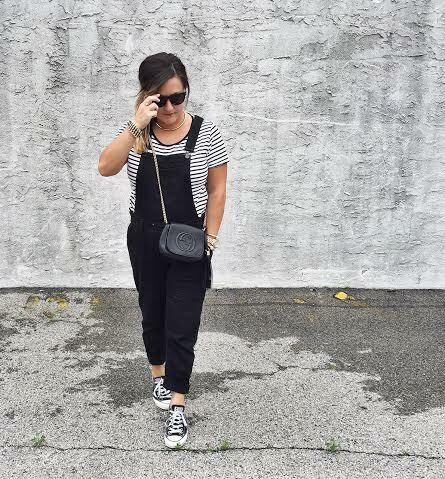 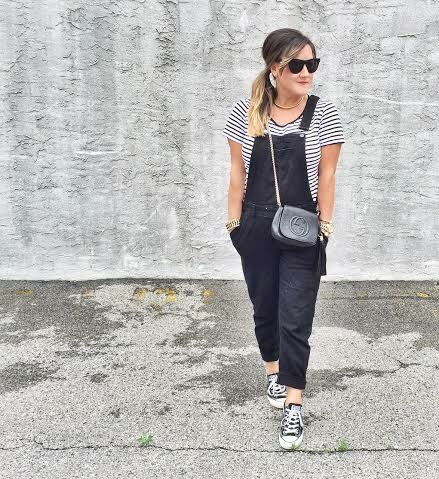 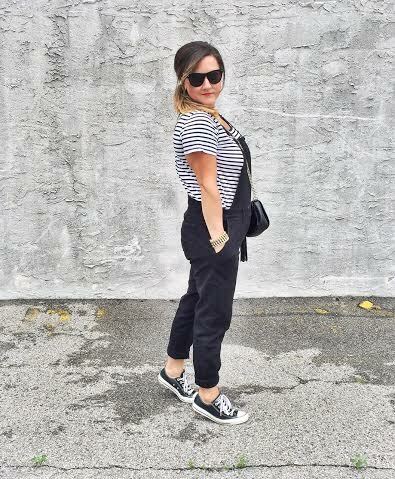 ), it was cool and rainy in New York yesterday, so I busted out my favorite overalls outfit one last time before the oppressive heat of summer begins! 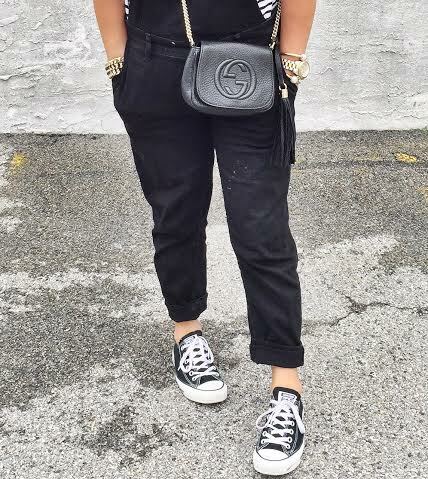 This exact pair from H&M is sold out, but below you’ll find three pairs I also like, along with the exact items I’m wearing above.